If your organization needs a solution that can be deployed quickly, odds are an in-house build won’t be completed on time. 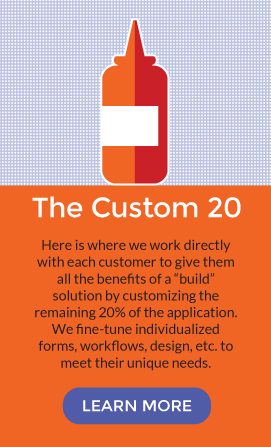 If it also needs to be flexible and customizable to meet your unique needs, it’s going to be tough to find a pre-built solution that fits all your specific criteria. "No one wants to compromise on important requirements, but all too often that’s what ends up happening." Weighing pros and cons in this situation makes both options feel like losing ones. No one wants to compromise on important requirements, but all too often that’s what ends up happening. The result might be a solution that rolls out on time but lacks the features you need to make impactful changes, or one that is exactly what you needed... two years ago. That’s where the Form.com 80/20 methodology comes in. Our mobile data collection applications combine the best of what in-house and off-the-shelf solutions have to offer. Our platform is built on 15 years of experience in developing and deploying mobile solutions, and we can customize it all to your organization’s existing forms and processes. It’s this special formula that makes Form.com the only winning option in the build vs buy debate. Think of it like the secret sauce on top of an inspection software burger. 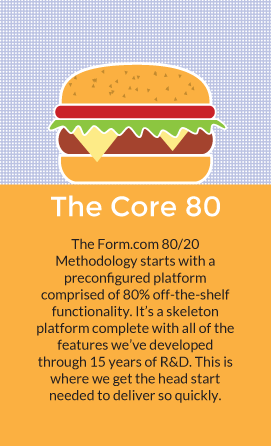 The buns, patty, and cheese make up the basics, just like our features and functionality make up 80% of Form.com’s solutions. The other 20% is a unique combination of condiments and toppings — in the form of tasks, workflows, forms, and designs — specified by you and your team, not the limitations of our software. The end result is a solution with all your must-have features and forms on a base platform that’s easy to deploy. You can be sure you’re getting the solution you need on the schedule you set… all without the endless debates that come when the only options are build or buy. 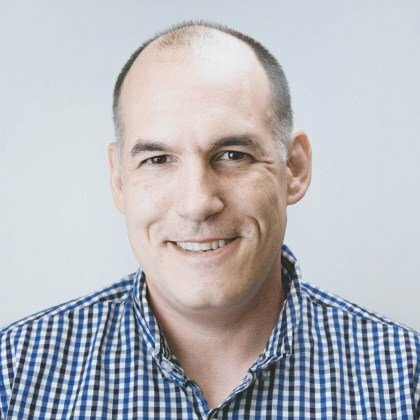 Want to learn more about the Form.com approach? 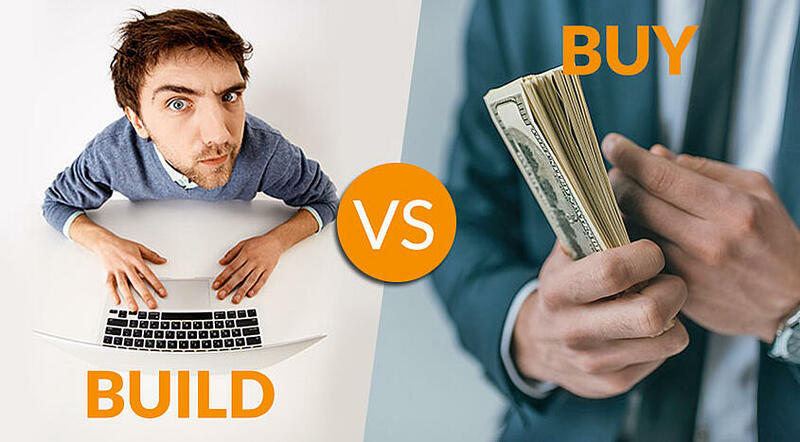 Check out our BUYER’S GUIDE for more insights on the Build vs Buy debate and to find out what makes Form.com the best of both worlds.